Hello everyone! The last ELF review for this time around (I will be repurchasing more ELF products and hopefully also order some products from the Studio line next time). Review: As you can tell the blushes are pretty pigmented except Glow which sometimes shows up or sometimes doesn’t show up on my skintone. 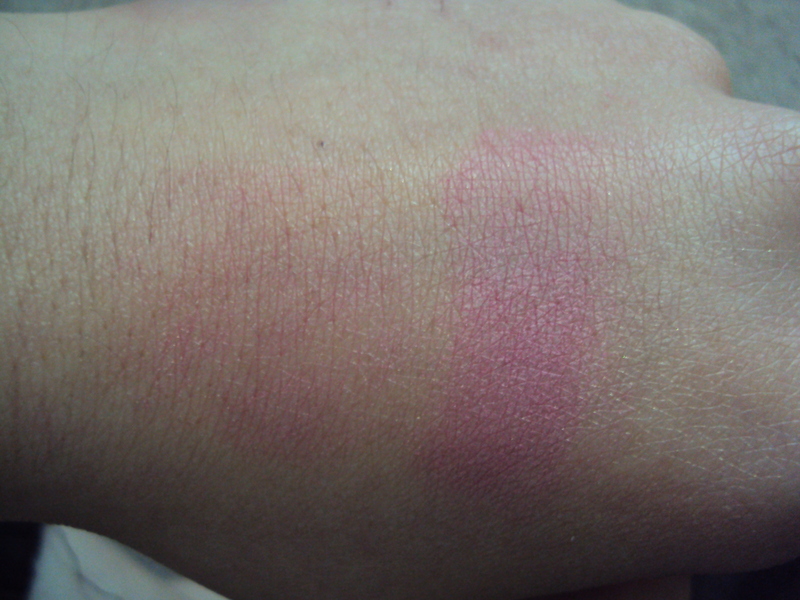 These blushes are silky smooth as well and they are great blushes with no scent. 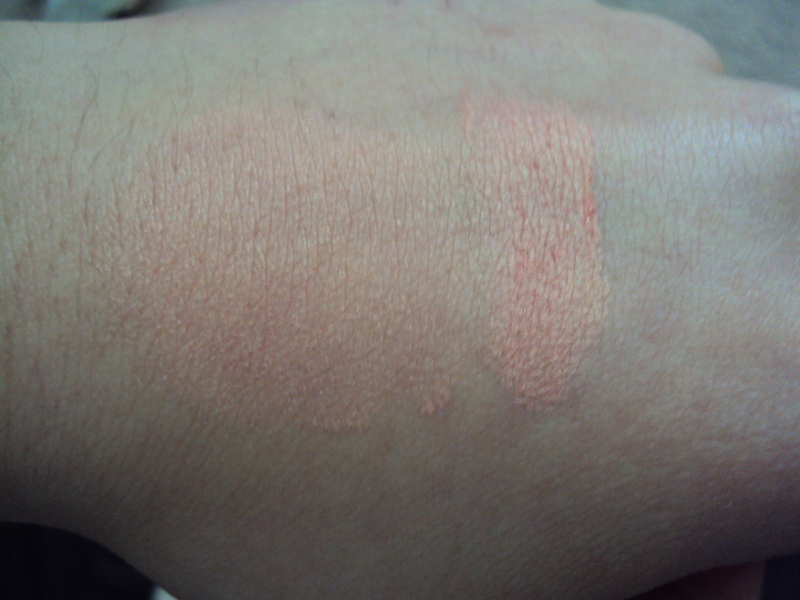 Glow is a coral color with golden glitters in it (not huge glitter but there is some) and Flushed is a nice raspberry shade with slight glow (silver shimmer is what it looks like) and both shades work great for lighter to darker skintones. It lasts for quite some time I can get about 8 hours if I’m not moving much (office day) and about 5-6 hours if I’m moving about more (exercising). Again packaging is pretty bad it’s a slide out packaging and Glow got stuck on mine which is why it’s all powdery and broken. Would I recommend this product? Yes very definately despite the packaging it’s a great product for little cost! Hello everyone! A review today I picked this up a while ago and have been using it for some time then realized I didn’t review it yet so here it is. Review: Let me start off by saying that this gloss is bigger than the ones on the market. It contains 0.38 fl oz. while regular is around 0.17 fl oz. That’s double the size and it’s at a really great price too! If you can see in the swatch there are chunky glitters in the gloss itself that depending on the light can be a green or red flecks. 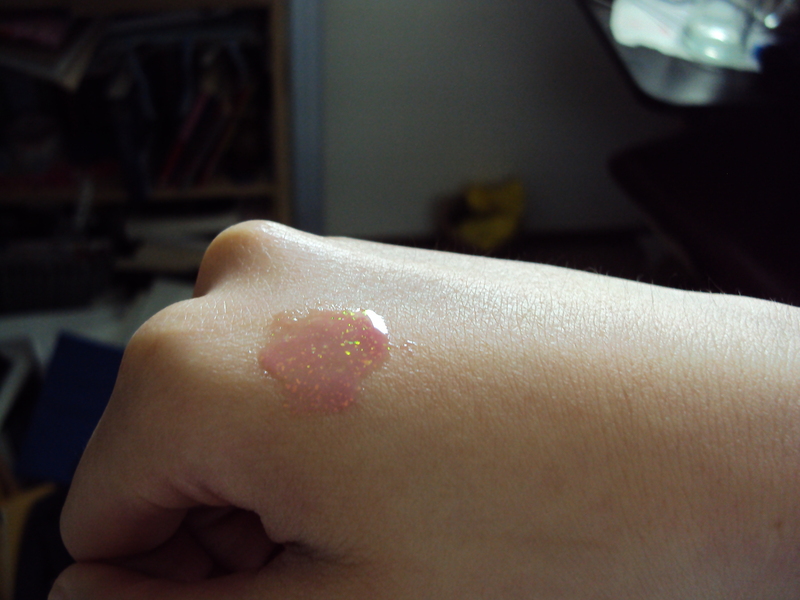 It is a pretty standard pink color with the glitters that add some extra oomph to the gloss. Wear time is the same for any gloss around 2-3 hours with/without eating and drinking. I like that it’s not extremely sticky but still stays on the lips for quite some time. There is a vanilla cake batter scent but that goes away after some time. 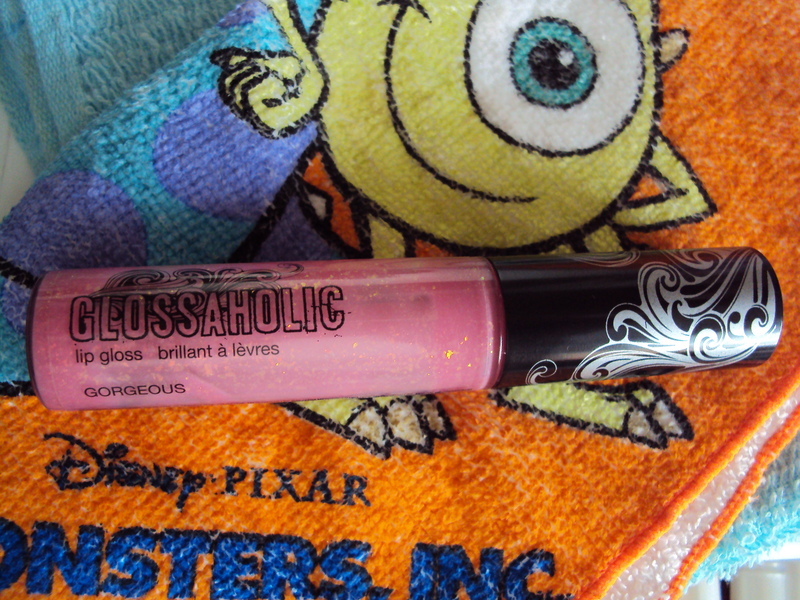 This gloss looks great on it’s own or on top of a lipstick. For the cons since this gloss is bigger than other glosses on the market the applicator can sometimes get stuck in the small hole but can be easily fixed by applying force. Overall a great gloss for a good price. Would I recommend this product? I would recommend this product for those who love glitter in their glosses or for those looking for a basic color with some pop but I won’t be purchasing anymore as chunks of glitter isn’t my cup of tea. Hello everyone! A new song from 2NE1 is out and well it’s pretty good. Old classic with not many instruments and just the focus on the voices is great. Very different from what you hear nowadays in the Korean music scene. Anyways, here’s the MV from Youtube currently has 2 million views so feel free to add more views. Hello everyone! I just wanted to mention a group that I have been listening to lately. Standing Egg is a three person group making soothing, easy to listen to, R&B tracks. The kind of music that you listen to before you go to sleep kind. I don’t know how to explain it but the music is very calming and peaceful. Anyways, if you guys have time go take a listen to them you won’t be disappointed! Hi everyone! So another edition of rocking 2 and this time it’s David Choi! I rarely listen to English songs as well… I guess I like the asian pop songs and cycling of song better than in America. This was a pretty solid album and I rarely enjoy every song on an album! Props to David for creating such lovable soft music! Please take a listen to some of the songs on Youtube (as David is a Youtuber) and if you got the change go purchase his album off of iTunes from his site! I don’t have much to report today other than watching Gummy’s comebacks on the music shows this week. Here is Music Core’s comeback stage. The songs are “There is no love” and “Because you are a Man”. Made me fall back in love with Gummy again. Such a great singer!